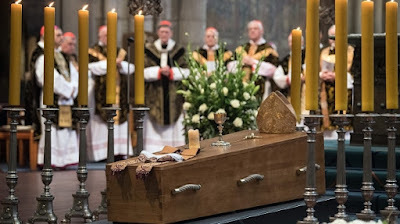 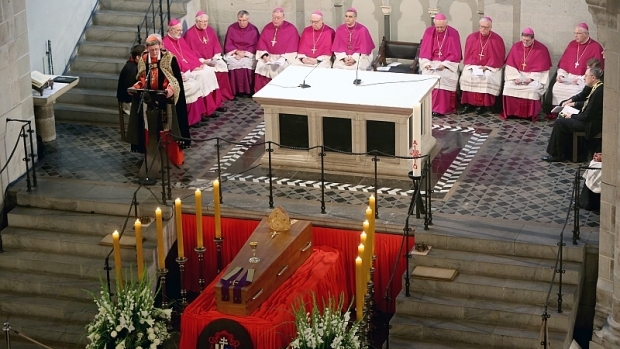 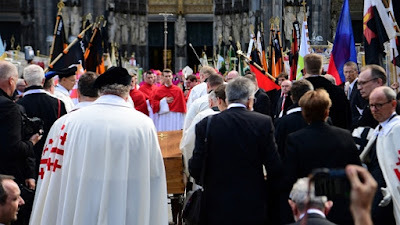 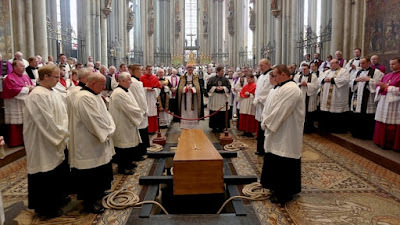 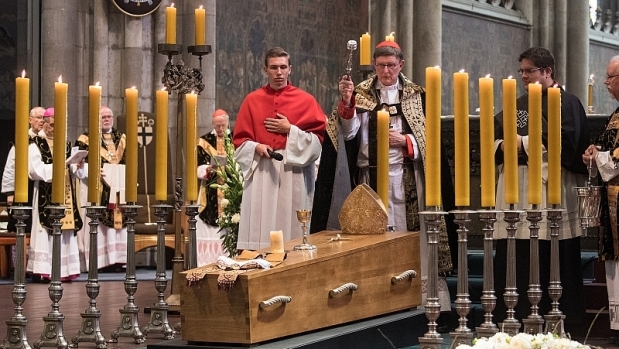 This past Saturday, the Archdiocese of Cologne, Germany, celebrated the funeral rites of His Eminence Joachim Cardinal Meisner, who held that see for over 25 years, from December of 1988 until his retirement at the end of February, 2014; he passed away on July 5 at the age of 83. 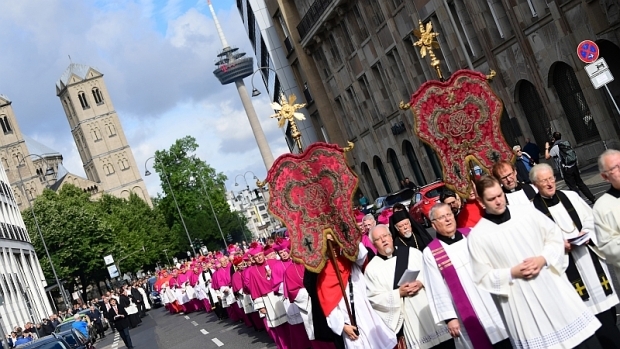 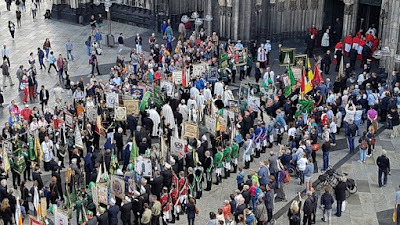 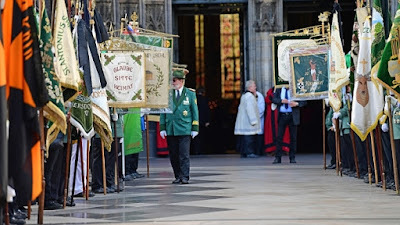 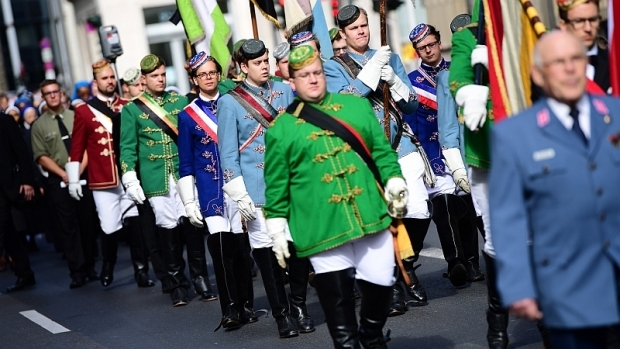 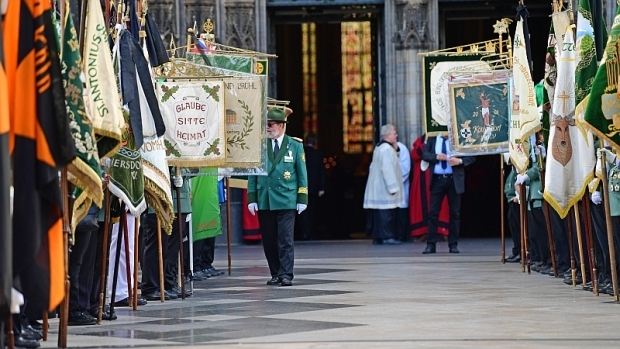 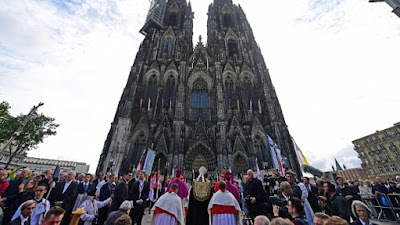 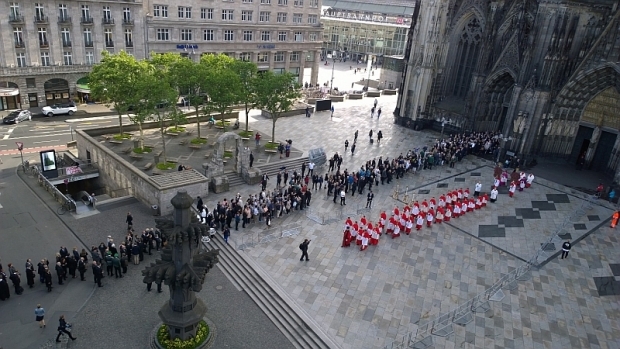 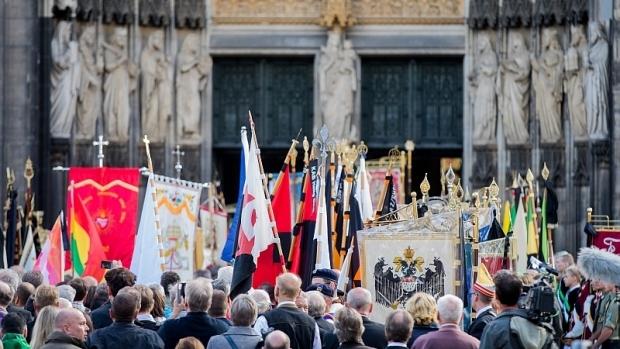 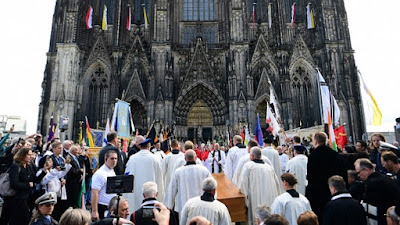 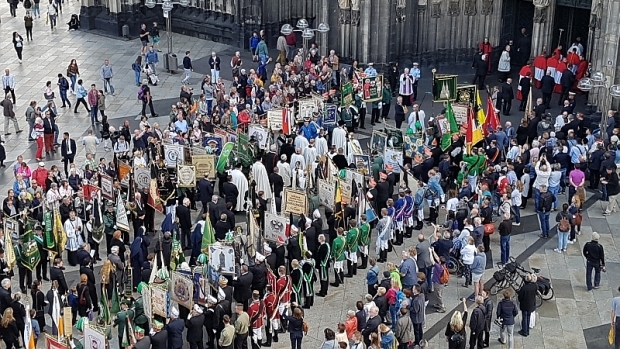 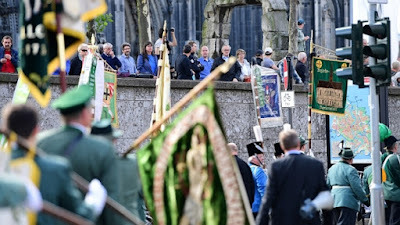 The website of the archdiocese’s radio station (domradio.de) has published photos of the ceremony, including the cortege from the church of St Gereon, in which a large number of Catholic associations participated. This selection is reproduced here with the permission of the editors; see the complete set at this link. 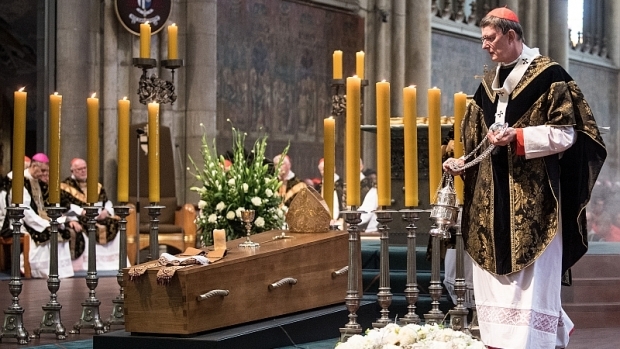 It is particularly good to see the use of black vestments of a more traditional form, as well as the placement of a miter, chalice and stole on the coffin, signifying the priestly and episcopal office, and the unbleached candles. 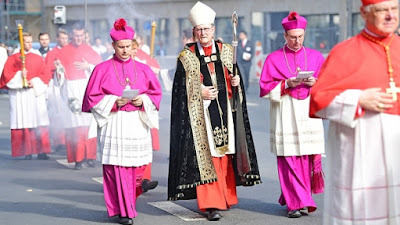 Deus, qui inter apostolicos sacerdotes famulum tuum Joachim, Presbyterum Cardinalem, pontificali fecisti dignitate vigere: praesta, qusesumus; ut eorum quoque perpetuo aggregetur consortio. Per Dominum.